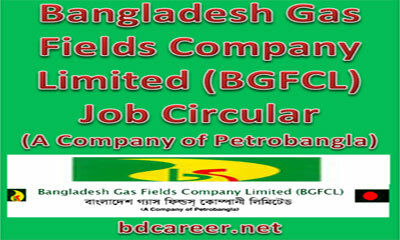 Bangladesh Gas Fields Company Limited a renowned Company of Petrobangla will recruit for various posts. Bangladesh Gas Fields Company Limited (BGFCL) circulated for Job Opportunity at BGFCL in various Posts on 17 July 2018. 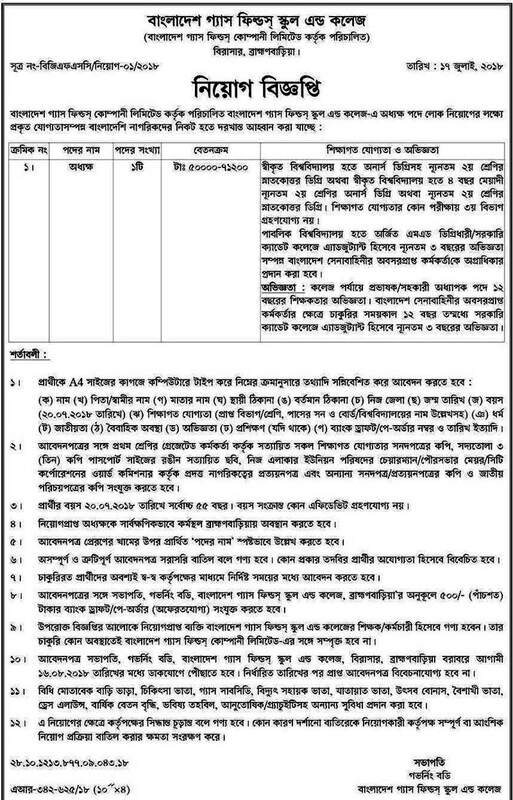 Bangladesh Gas Fields Company Ltd Job 2018. Interested and eligible Bangladeshi Citizens are requested to apply process after fulfilling the circularized conditions and instructions. The Deadline for Online Application is See the Job Circular for Details at 05:00 P.M. Interested Bangladeshi Citizenship may Apply through http://bgfcl.teletalk.com.bd on or before See the Job Circular for Details after fulfilling the circularized conditions and instructions (See the Job Circular for Details).